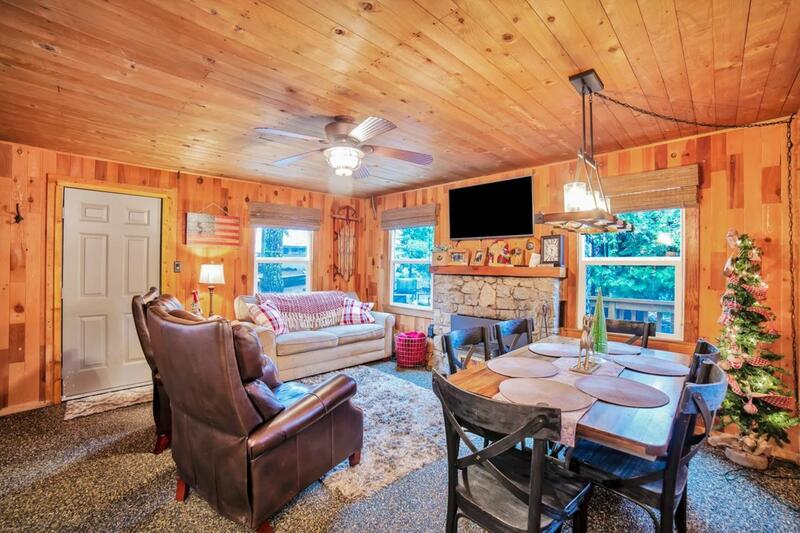 Beautifully updated cabin located in the west village within walking distance to restaurants and stores. Stone fireplace and new duel pane windows allows for ample light and brings the outdoors in. Spacious kitchen features new appliances, tile counter tops, and lots of storage. One bedroom is on the main level with 2 large bedrooms upstairs, providing sleeping for eight. 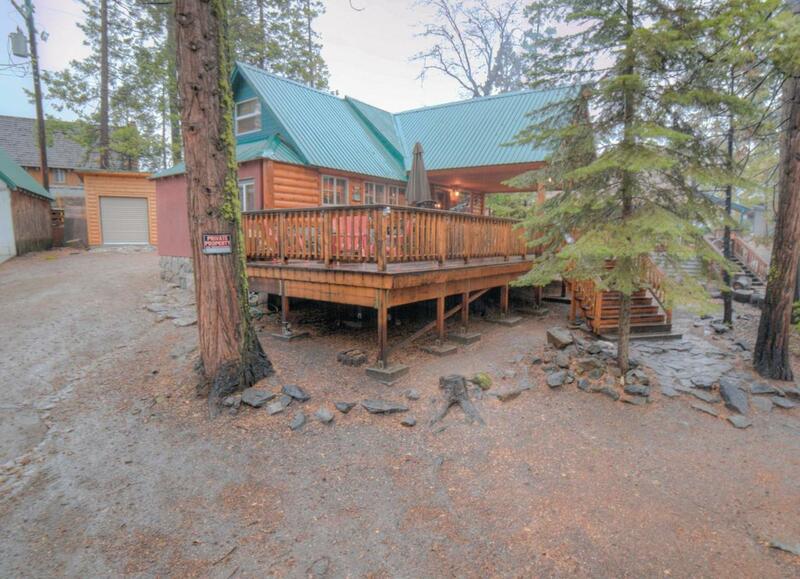 Cabin has newer metal roof, new stamped concrete, plumbing, and exterior siding. In addition, a huge 668 square foot wrap around deck partially covered for winter use, was added in 2009 creating an awesome outdoor entertaining area. A new 260 S.F storage shed was built with a 96 S.F living area. Spacious lot offers tons of parking space, including room for a boat. 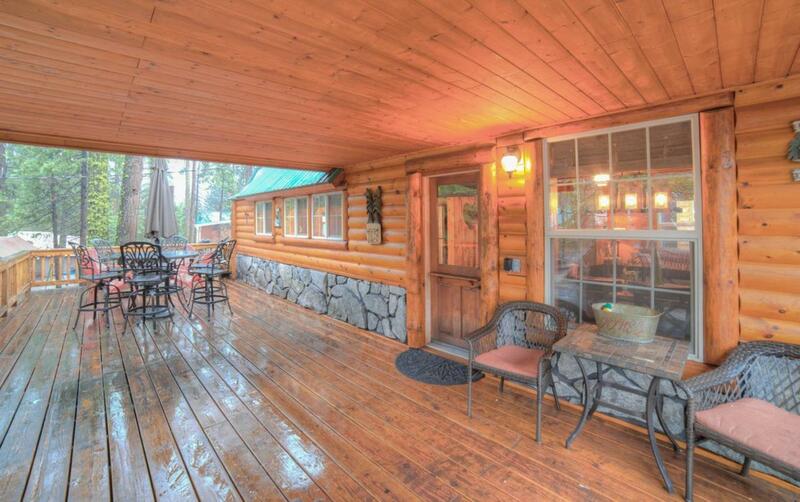 This property has 3 years of vacation rental history, with revenues over 20K with the owner occupying half the year. 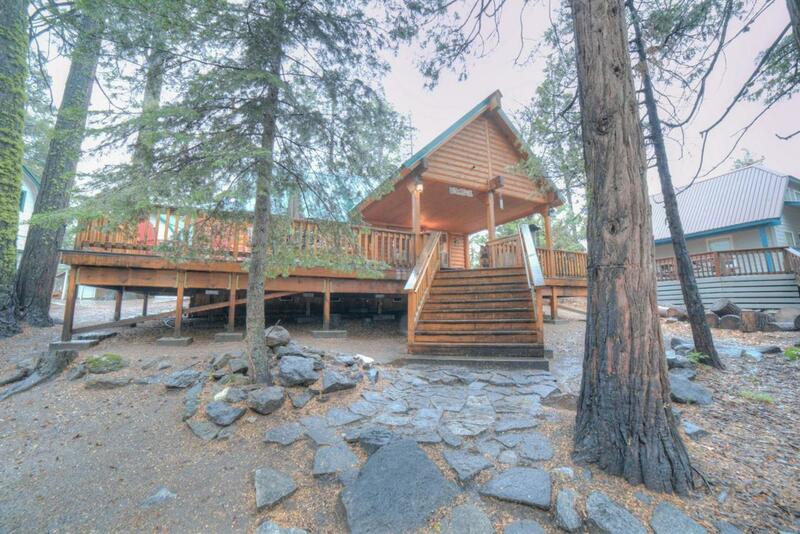 Don't miss this great opportunity to own a Shaver Lake vacation home that pays for itself. Listing provided courtesy of Adam Arrigoni of Universal Lending & Realty Inc..